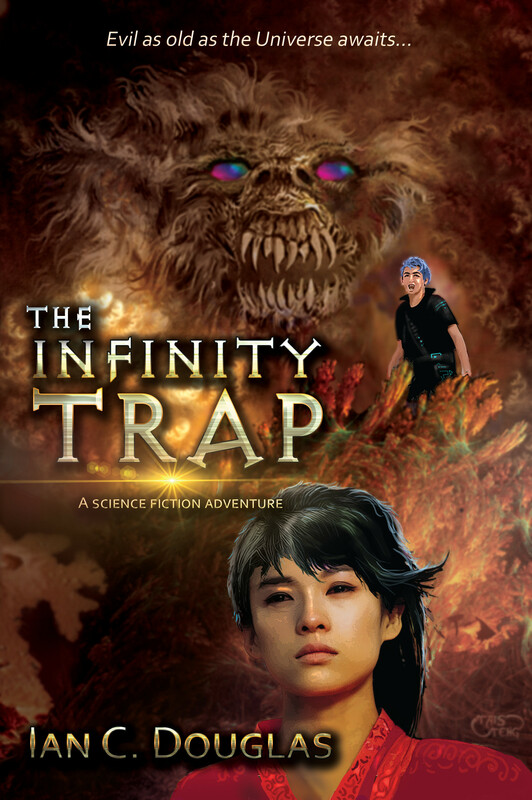 To parallel our ebook giveaway for the New Year in Australia, we have chosen for the UK offerings Ian C Douglas‘ all-ages science fiction adventure, The Infinity Trap. For the period 1 to 5 January (US time zones), you can download Ian’s great Martian adventure ebook for free! But Zeke is an ordinary schoolboy without a shred of his father’s psychic powers. Armed with nothing but his wits, he bluffs his way into the prestigious Mariner’s school on Mars in search of answers. Mind-reading teachers and psychokinetic bullies are the least of his worries. A ruthless archaeologist is seeking the Infinity Trap, an ancient machine of unimaginable power and lair to an evil as old as the Universe. An alien artefact downloads the language of the long dead Martians into Zeke’s brain. Thanks to this newfound skill, Zeke alone understands the apocalyptic danger about to be unleashed. Not only must Zeke rescue his friends, but humanity itself. If he can first survive a planet filled with demons, outlaws, and androids, not to mention quicksand and dust storms. And, as the odds stack against him, will Zeke make the ultimate sacrifice—his father? This entry was posted in Marketing, News and tagged giveaway, ian c douglas, the infinity trap. Bookmark the permalink.